Sustainability has become a buzz word in the last few years, but what does it really mean? It seems like everyone has a different definition. To farmers, sustainability means protecting the environment and natural resources so they are in the best condition possible for future generations. That includes protecting water quality, the air, taking care of the soil and being responsible with our usage of these resources. Today, we are going to talk specifically about water quality. Farmers and their families live on and around the same land they farm, so it's of the utmost importance to make sure the water is drinkable and other natural resources are properly cared for. We also want to make sure we keep the environment in good shape for our neighbors and others in our communities since they share those natural resources. 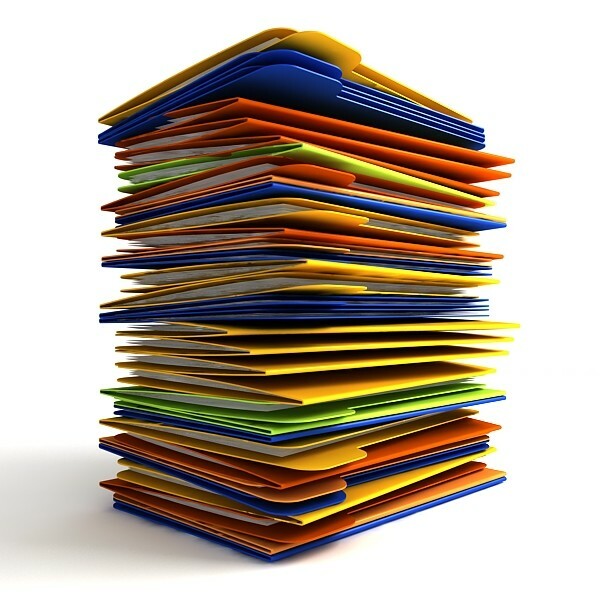 Paperwork may not be the first thing that comes to mind when you think of farming, but I can guarantee there's a lot of it. When it comes to environmental stewardship, some of that paperwork involves a nutrient management plan or manure management plan. Manure has a lot of nutrients - such as nitrogen, phosphorus and potassium (N, P, and K) - that feed the soil and reduce the need for chemical fertilizers. 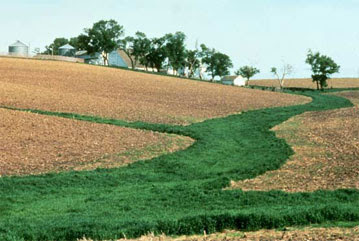 According to the Natural Resource Conservation Service (NRCS), this includes managing the placement, amount, source and timing of nutrient application to budget and supply nutrients for plant growth, in addition to properly utilizing commercial fertilizers, manure and other nutrient sources to minimize agricultural pollution of surface and ground water and to maintain or improve the physical, chemical and biological condition of the soil. For an example of a nutrient management plan, check out this template from NRCS. 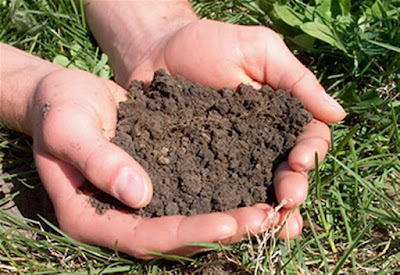 Do you test the soil in your garden or other areas before you apply fertilizer? Farmers do! Regular soil testing tells farmers more about the condition of the soil and where certain nutrients are needed. We talk a lot about N, P, and K (or nitrogen, phosphorus and potassium) when it comes to soil health. Just as it's important for people to consume the proper nutrients for growth (for kids) and health, it's also important for the soil. If they don't have nutrients, the soil will not be able to grow crops properly. There may be a field that is low in one of all of those three nutrients or a part of the field that is higher than others. This helps farmers make management decisions as to where to apply manure and comercial fertilizers. The goal is to supply the soil with the right amount, but the right amount varies from field to field and sometimes within a field. That's why it's important to know what you're working with. As one of my college dairy professors always said, you can't manage what you don't measure. Have you ever wished you could control the weather? Or that it would at least cooperate with your plans since that would make everything so much simpler? 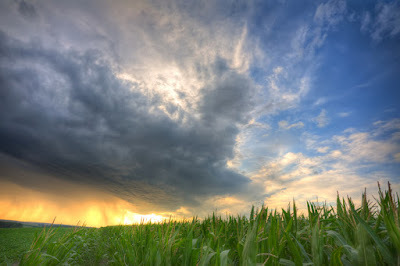 The weather is one of farmers' greatest frustrations. We can't control it and it can make or break a crop. During a drought year, crops are thirsty and starving for water and it's just not raining. 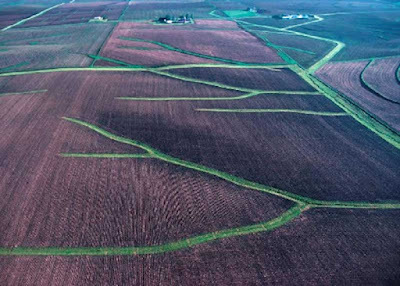 Irrigation is great, but not everyone has pivots to irrigate crops. Then there are years like a few springs ago in Indiana when it kept raining and crops were drowning. Have you wondered what was growing in that field during the winter? It wasn't wheat, but didn't harvest already happen? I hear this a lot. You're probably seeing one of the many cover crops available, such as radishes. Here is more information from Cornell University about various cover crops. Have you ever seen a strip of green grass between a creek and a crop field and wondered why the farmer either forgot to do something with it or just wondered what it was? Grass planted between agricultural fields and rivers, streams, lakes or drainage ditches are called filter strips. Ground cover, such as grass, slows runoff that may escape from the field to prevent it from reaching surface waters. It also traps and filters sediment, nutrients and other potential pollutants to keep them out of the water. Working grass waterways are another conservation practice that establishes grass in a natural drainage way, which is graded and shaped to form a bowl-shaped channel (More info from Purdue University here). Moving water can take sediment and other things with it if there's nothing holding it down. The grass waterways provide a buffer and prevent soil erosion. 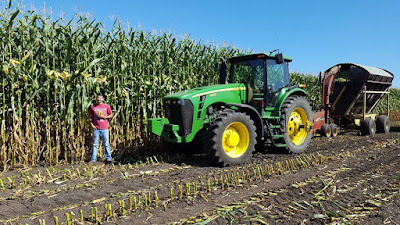 NRCS, local Soil and Water Conservation Districts (SWCD), Farm Service Agency and other organizations provide programs to assist farmers with installation and management of various conservation practices and resources. In some cases, there may be some financial assistance available, such as a matching fund. 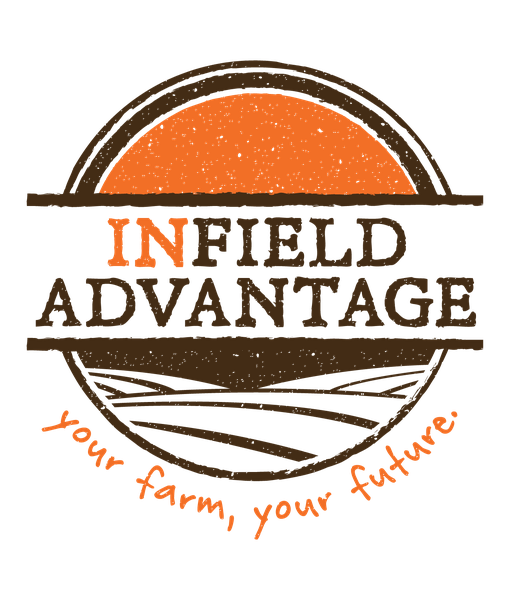 Several Indiana agricultural organizations partner on the Infield Advantage program, which is a voluntary program that works with groups of farmers across the state to understand on-farm data to optimize management practices, which improve their bottom line and benefit the environment. Farm management is complex and there are many resources available to assist farmers in their environmental stewardship efforts. This post was sponsored by The Glass Barn, which is funded by the Indiana Soybean Checkoff. Thank you. Very informative, especially good for non farmers!! The best water filters in the market usually vary according to individual likings and preferences. It entirely depends upon what types of filter you are looking for go checkout we give you 60% OFF On Worlds Best Water Filter..